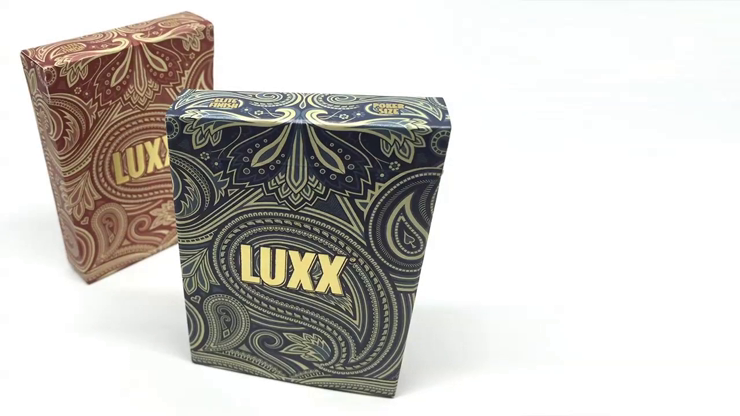 Continuing the LUXXÂ® series of premium, designer playing cards - illustrated by Rick Davidson, creator of the beautiful Origins Cards, Palme is a deck inspired by the beautiful Paisley pattern, which has roots and heritage across the globe. Described by Lawrence Sullivan, founder of Legends as "one of the most elegant decks we have ever printed". The beautiful full bled, borderless back design gives this deck a unique look and style which is carried through the deck and onto the stunning tuck box. Fans and spreads look amazing! Palme has been named as one of the "Top 12 Decks of 2015" by playing card blog Kardify. The deck is housed in a stunning tuck box with a wrap-around design and embossing complete with matte foiled LUXXÂ® logo. They are a limited edition of 2,000 printed on Elite Finish by the Legends Playing Card Company. A finish very similar to that of Bicycle's which people know and love but which has increased durability and a slightly different texture. Simply enter your details below and we will send you an e-mail when “LUXX Palme Playing Cards (Red)” is available to ship!